Blockchain ist mit Sicherheit eine Technologie, die unsere Zukunft nachhaltig verändern wird. Im Prinzip verbergen sich hinter Blockchain bekannte Technologien wie Peer-to-Peer, Replikation, Konsensus Protokolle und Kryptographische Verfahren. In dem Kurzvortrag wird ein Überblick gegeben, was das Prinzip einer Blockchain ist, welche Businessmodelle davon profitieren können und was die Risiken sind, dass es der nächste „DotCom“-Hype werden könnte. Graduated engineer of computer sciences (Dipl. Ing. ), Ph.D. (Dr. techn.) and Venia Docendi (Univ. Doz.) from the TU Wien. Heinz-Zemanek Research Award for Ph.D. work on "Multi Database Systems". Kurt-Gödel Research Grant from the Austrian Government for a sabbatical at the Indiana Center for Databases at Purdue University, USA. International publications and teaching in the areas of peer-to-peer computing, methods and tools for the coordination of concurrent and distributed systems, space based computing middleware, coordination patterns and applications. Project coordinator of nationally (FWF, FFG, AT), internationally (EU Commission) funded research projects, and projects with industry. International software patents for research work on a new "Coordination System". Member of the Senate of the Christian Doppler Forschungsgesellschaft (CDG). Member of the Science and Research Council of the Federal State of Salzburg (WFR). 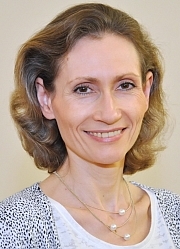 Vice President of the Austrian Computer Society (OCG).